This is how George Eric Gedye, a British journalist, described the events in Vienna’s in the evening before the famous “Anschluss”, the annexation of Austria to Nazi Germany. This was also the evening that changed the history of the Austrian railway company. The company, which back then was named BBÖ (today ÖBB), has turned this year 175. For this occasion, the management has decided that it is time to cope with the company’s history. It was considered inevitable, that a crucial and central institution in the Austrian day-to-day life like the national railway will neglect and ignore its role in the most severe crime in the history. That led the company to prepare an exhibition, describing the way Hitler has used the rail company for his purposes. The initiator of the exhibition was Michael Wimmer, a strategic consultant to the management. A few years back, Wimmer returned from a visit in Paris; there he met the former Nazi-Haunter and former candidate for the presidency of Germany, Beate Klarsfeld. She suggested the idea to tell the company’s story through an exhibition, the same way as it was done before by the German rail company. “I passed the idea on, and it was accepted right away by the CEO Christian Kern”, he says. The next step, he joined forces with the project manager Trude Kogoj and the PR specialist Milli Segal. The result: an informative exhibition named “Repressed Years” which was inaugurated in June 2012. Recently the exhibition was prolonged till the end of October. Adolf Hitler understood already from the beginning, that without an efficient and innovative rail system, his plan is meant to fail. That is why he hurried to hold a speech in front of 12,000 admirers at the Nordwestbanhof, a former central train station in Vienna, indicting the important future role of the railway. Practically, the Austrian train became overnight a part of the German Reich’s rail system, that earned 2,122 locomotives, 36,990 wagons and 5,000 km long tracks. Julius Dorfmüller who was appointed as transportation minister was also in charge of the railway. The merger between the railway systems took a year and brought a change of general atmosphere in the company. 20% of the workers were fired immediately because they were either Jewish or “unfit”. Instead, some 9,000 Nazi party members were appointed to different positions. Moreover, youngsters who dreamt of becoming loco drivers or technicians could join the railway already at the age of 14 and go through the training free of charge. Women, who wanted to join the crew, had to write a composition about “the women’s role in the war”. All the railway members had to swear loyalty to the Führer. Due to their centrality in the daily life, the stations became a stage for Nazi propaganda. The workers had to be the example for the “the perfect Nazi”, including the welcoming every passenger with “Hail Hitler”. They were also enforced to read the daily propaganda newspaper for their further education, and it was their job to encourage young passengers to join Nazi youth movements. Those who sold tickets, or were even seen with Jews weren’t eligible for promotion. Furthermore, the station’s halls were used for different exhibitions, like the famous “Eternal Jew” exhibition in the summer of 1938 in Vienna. In order to prevent behavioral problems, the Gestapo was put to supervise the happenings onthe platforms. After the occupation of Poland in the fall of 1939, the train began to function as a military unit. The workers were compelled to high devotion and self sacrifice, as the parole dictated: “The wheels must turn for the victory”. As the battles went on, the Nazis required more and more equipment to keep up to the war plan. 1.1 Million People were employees of the railway all over the Reich, working sometimes 56 weekly hours. 200,000 forced workers from Poland and Hungary were enslaved for 1.5 Reichsmark per day. These workers participated in the construction of 7,000 war locomotives, including the Steam Locomotive from series 52, which was lighter, faster and above all – could operate in the soviet winter. Only the most loyal workers could take part in the military aspect of the railway. 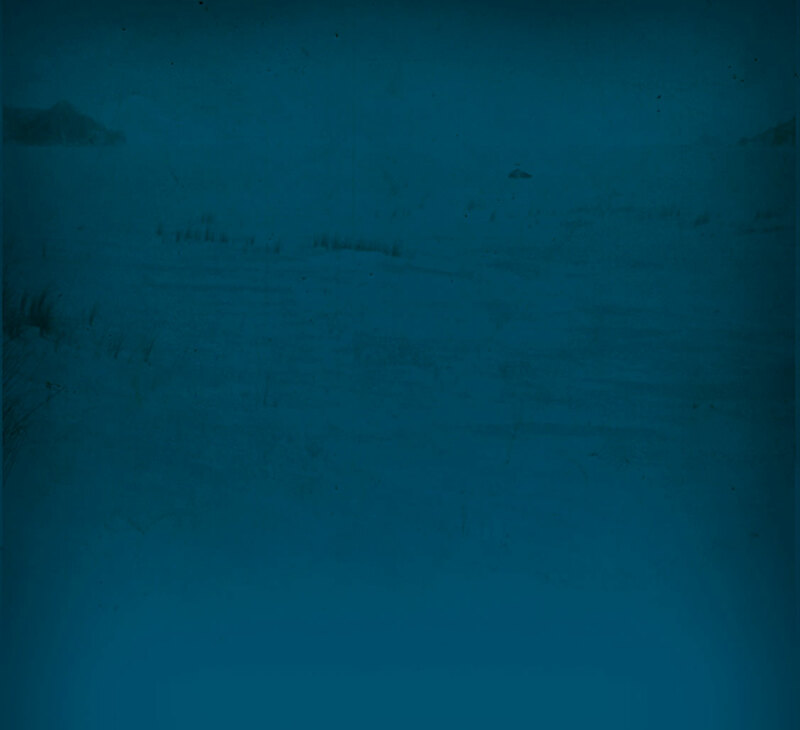 Those who were selected joined the “Wehrmacht” in the Russian front and risked their lives, sometimes in the cold of -42 degrees Celsius. Their missions varied between building bridges on the occupied territory and the adaptation between the Soviet track standard (152.4 meters) to the German one (143.5 meters). These workers were trained to use weapons, wore uniforms and served with pride and devotion. Hans Ebenwaldner, a travel manager, wrote to his relatives on January 9th 1942: “I am situated now in the wild and wintery nature in Russia, proud to wear the uniforms of the German soldier and happy to take part at the destruction of the Bolshevism”. The exhibition reveals also that there were also a few people who tried to oppose the Nazis’ plan. Around 300 railway workers were sentenced to death and 1,400 were sent to labor camps due to underground sabotage activities. These employees belonged mostly to socialistic and communistic circles. These organizations were banned already during the dictatorship in Austria before the war. Their moves were monitored closely by the Gestapo and varied between sabotaging the tracks (putting them out of order for a few hours), putting sand in the engines, damaging the brakes, blocking the oil tubes of the train, confusing documents and schedules and distributing anti-Nazi propaganda. After all, the damage they succeeded to make is considered minor. 128,000 Jews managed to escape Austria by train. The journey out was involved with high costs and the issuance of documents which were sometimes missing not available. Furthermore, a special supervision was put in order to tax or confiscate every valuable object as gold, securities – and mostly to make sure that those who leave are left poor. One of the most famous escapers was the father of the psycho-analysis, Sigmund Freud, who had to leave behind a third of his fortune in order to leave to London. Three of his sisters were left behind and murdered later on in the holocaust. 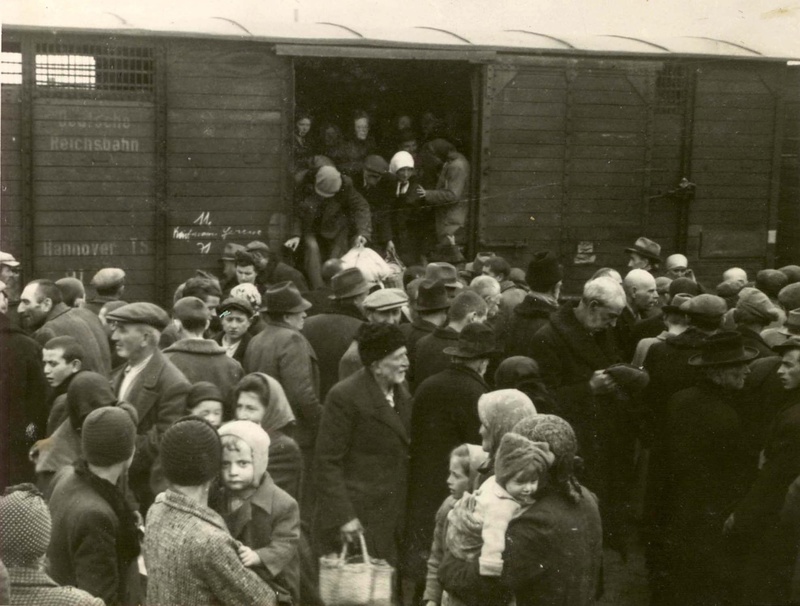 The trains took also a big part in the “Kindertransport”, where 10,000 Jewish children from Germany, Austrian and Czechoslovakia were brought to safety in England or USA. There they were taken to host families. For many children, the moment before the departure was the last time they saw their families alive. With the decision upon the “Final Solution” in Wannsee on Januray 20th 1942, the train took up the mission of transporting Jews, Roma and Sinti and others to their death in the extermination camps in eastern-Europe. The command and the control over the “Sonderzüge” were made in Berlin, as Adolf Eichmann was put in charge of the mission. It was his authority to coordinate between the local German police and the railway. The railway could decide how many wagons were used to take a given amount of people, sometimes 5,000 people on one transport. In order to make the extermination efficiently – special incentives were invented: if the train leaves with more than 400 passengers, then the one that ordered the train would pay the half of the price for “passengers” in the third class. Children under 4 were taken for free. Bringing the empty train back was already included in the price. The end of the war left the Austrian railway in a desperate condition: the whole management escaped or was arrested. The Nazi workers were fired or sent on forced vacation. It was the simple workers who had to rebuild everything all over. Years after the war, the railway reimbursed owners of property that was confiscated for the usage of the railway. In 2000, the railway paid 14 Million EUR for some reconciliation funds. A person essentially assist to make severely posts I would state. This is the very first time I frequented your website page and thus far? I surprised with the analysis you made to make this particular put up extraordinary. Great task! THX for sharing.my website http://www.frdoudounem0ncler.com/ welcome to visit! Great tremendous issues here. I¡¦m very satisfied to peer your article. Thank you so much and i am looking forward to contact you. Will you please drop me a mail? Thanks for ones marvelous posting! sboasia99″ sbobet Good Blog AWESOM Webmaster!! You can certainly see your skills within the paintings you write. The arena hopes for even more passionate writers such as you who aren’t afraid to say how they believe. At all times go after your heart. Today, taking into consideration the fast life-style that everyone leads, credit cards get this amazing demand throughout the market. Persons out of every arena are using credit card and people who not using the card have prepared to apply for 1. Thanks for spreading your ideas about credit cards. Hey there! I’ve been reading your web site for a while now and finally got the courage to go ahead and give you a shout out from Houston Tx! Just wanted to say keep up the good work! I enjoy you because of your entire effort on this web site. Betty really likes working on research and it is simple to grasp why. We know all of the compelling way you create vital steps through this blog and even cause contribution from the others on this situation and our own girl is actually becoming educated a great deal. Take advantage of the rest of the new year. You are always conducting a superb job. Thanks for the concepts you are revealing on this blog. Another thing I would really like to say is that often getting hold of some copies of your credit profile in order to examine accuracy of the detail could be the first measures you have to conduct in credit restoration. You are looking to clean up your credit profile from detrimental details faults that damage your credit score. You made various nice points there. I did a search on the issue and found mainly people will consent with your blog. Excellent read, I just passed this onto a friend who was doing a little research on that. And he just bought me lunch since I found it for him smile Thus let me rephrase that: Thanks for lunch! “Love is made in heaven and consummated on earth.” by John Lyly. F*ckin?tremendous things here. I am very satisfied to look your article. Thanks a lot and i’m looking ahead to contact you. Will you please drop me a mail? I like this web blog very much, Its a rattling nice situation to read and obtain info . “‘Taint’t worthwhile to wear a day all out before it comes.” by Sarah Orne Jewett. Hi to every one, it’s actually a good for me to pay a quick visit this web page, it contains important Information.